Today as we stood in a smallish room with a bunch of school-agers I realized that we have been healthy for quite awhile, not being in public school has reduced the cold and flu season in our home. I’m getting ready to battle the flu season now though, I hate to be caught off guard not living close to a store that is not always open. We want to avoid dehydration when the flu season brings vomiting and diarrhea. Gatorade can help help to restore the body’s electrolyte balance. Water of course at all time is important. Fevers for me are a bit scary, my oldest and youngest both are always quick to spike and are hard to get down. We alternate between Tylenol and Advil, on advice from our family doctor in the past. Tylenol is a pain reliever and fever reducer. Advil is an anti-inflammatory, pain reliever and fever reducer. I always write down my kids temperature, what I gave them and the time. Sometime Advil sometimes brings their fever down more than Tylenol so I stick with what works. It’s all about doing what it takes to make our kids feel better. And ourselves as well! Do I need to explain why I keep Gravol on hand? Slowing down the vomiting and the diarrhea is important for keeping dehydration risk away. Once anyone who had stopped vomiting, or maybe just feels like nibbling on something, they get crackers. Just try to stick to small amounts, a few at a time to prevent upsetting your stomach. Crackers or toast is great to take the edge off hunger when your stomach can’t handle much. Laundry detergent is a must. As soon as the first child starts vomiting (or parent) I start cleaning. At some point I’m going to be washing bed sheets, and most likely three or more sets, one per child. Arm and Hammer is the only brand laundry detergent I buy, its amazing on kids dirty clothes! In the past we have pulled our kids mattress off their bed and set it up in the living room. They get to watch TV all they want, fall asleep, and just be with family for snuggles while being comfortable. (Their mattress would get a protective cover on it.) This saves my furniture too in case of vomiting. An air mattress would work great too, and will probably be our choice when the flu hits here again as we are in a multi-level house now. 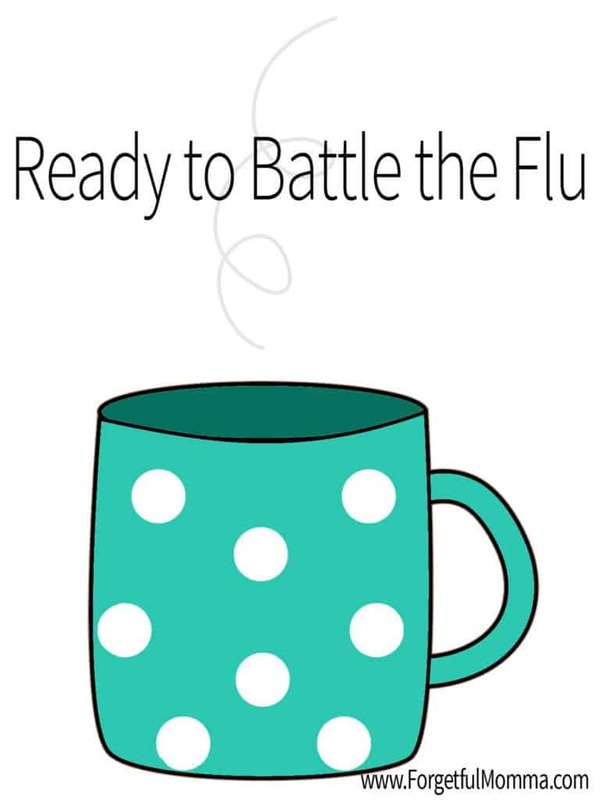 How do you deal with the flu season in your home? Any family secrets that work great?